An inspirational miniseries exploring the diverse lifestyles of B.C. 's most successful and dynamic mountain culture athletes, artists, and creators. Our heroes, the Space Chickens, are traveling the cosmos in an Odyssean journey, where upon they discover a new planet populated with alien sirens. Will our heroes make it back home to earth? A rebellious teen is sentenced to serve time on his uncle's organic farm, only to learn that there's much more to the farm than meets the eye. A quirky "dramedy" following failed match-maker, Danielle H. Taylor, as she becomes increasingly entangled in a dangerous illegal immigration scheme to save her struggling business. A chaotic coming-of-age tragedy: three bandits, three banks, three days. 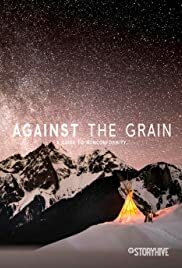 This is the exceptional story of Mason Mashon: A 32-year-old adventure athlete and action sports photographer who is radically redefining his relationship to mountain backcountry through his Plains Cree First Nation heritage. A young couple's marriage is pushed to the brink when they leave home to pursue his lifelong dream of competing in the world of professional cycling. Cassandra, who is portrayed by the two women, expresses the opposing voices that exist inside the modern woman's head, during a 48-hour period as she tries to organize the affairs for her mother's funeral.